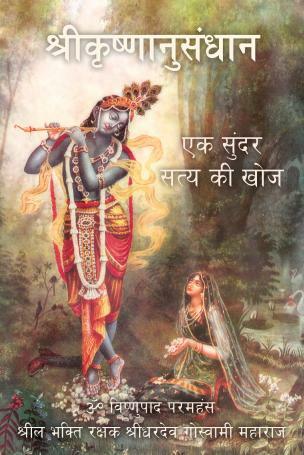 Gosai Publishers has just released a new book in Hindi - 'Sri Krsna Andusandhan' (Search For Sri Krsna, Reality the Beautiful) by Srila Sridhara Maharaja. 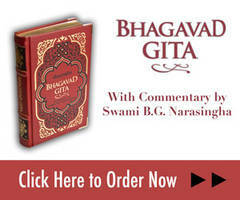 The translation was done by Advaita Acarya Dasa with help from Caitanya Dasa and members of our Mysore Sanga. Copies can be purchased in India directly from Govindaji Gardens or by contacting Caitanya Dasa (chaitanyadasa at gmail.com). Copies will also be available soon from the book shop at Radha-Damodara Temple in Vrndavana.